Volkswagen Group of America (VW) will recall a handful of recently-built vehicles containing misaligned headlights. 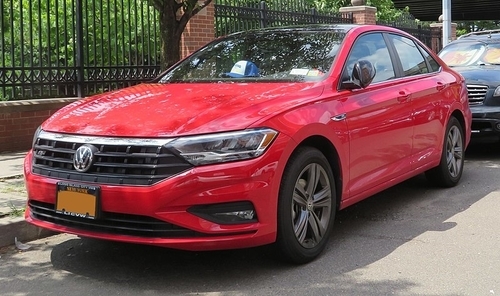 The Auburn Hills, Michigan-based manufacturer notified the National Highway Traffic Safety Administration (NHTSA) on Sept. 26, 2018 they will recall 28 2019 Volkswagen Jetta vehicles built between Aug. 6 and Aug. 9, 2018. The right-side headlamps in affected vehicles are misaligned, throwing the vehicles out of compliance with Federal Motor Vehicle Safety Standards regarding lamps, reflective devices and associated equipment. Misaligned headlamps can compromise night time visibility and increase crash risk. If you are an owner of a lemon Volkswagen, contact Allen Stewart’s team of experienced lemon law attorneys today. Volkswagen stated in its recall chronology the company’s Mexican plant first detected the problem and engineers there began investigating on Aug. 15, 2018. The headlamps’ supplier, Valeo Sistemas Electricos, told VW an “unauthorized change of the parameters in testing equipment” caused several headlamps to leave their plant misaligned. VW Engineers completed their analysis on Aug. 27, 2018, and presented their findings to the VW de Mexico’s Product Safety Committee. Engineers presented additional data on Sept. 19, 2018, after which the company decided to initiate a recall. Volkswagen will notify owners and dealers will replace the passenger side headlight for free. The recall will begin November 25, 2018. Owners may contact Volkswagen customer service at 1-800-893-5298. Volkswagen’s number for this recall is 94L1. Concerned consumers can also visit the NHTSA’s website and enter their VIN to see if their vehicle is included in any recalls. Your vehicle’s manufacturer is legally required to fix any recalled problems for free. If the dealership refuses to fix the part or tries to charge you for the repair, contact the manufacturer immediately. The Highway Safety Act of 1970, which created the NHTSA, requires car manufacturers to pay for the recall and replacement of a defective part. If the manufacturer fails to repair, replace, repurchase, or provide your recalled vehicle’s loss value, they are violating the warranty and a lawyer may be able to help you. Lemon law attorneys help their clients by dealing directly with the manufacturer on the clients’ behalf, working to promptly resolve the issue and get their clients back on the road. Thanks to the Magnuson-Moss Warranty Act, attorneys can seek their fees directly from the manufacturer, meaning a client can obtain legal counsel without having to pay attorneys’ fees directly out of pocket.